Hydraulic Operation. Rigid Equalized. 8 1/2” Plunger Diameter. Drive Thru. Hydraulic Operation. Rigid Equalized. 8 1/2” Plunger Diameter. Trio superstructure with truck adapters. Drive Thru. 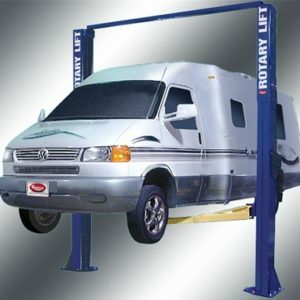 Rotary Two-Post 12,000lbs.-Capacity Inground Base Unit – This base unit for inbay®, electric-hydraulic SmartLifts is fully self-contained with 8-1/2" plungers and features Rotary's LDS Liquid Detection and Alert System with integrated air, OSHA-compliant lockable disconnect, and one-touch lock release. 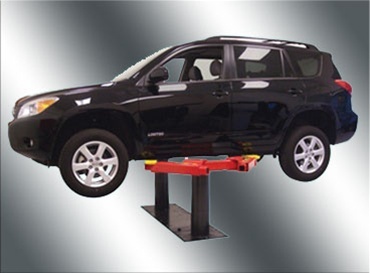 This Smartlift base unit is for adding alignment equipment, superstructures, or runways later and can also be used with drive-on runways, though system capacity will vary when used with non-Rotary components. This product features automatic locking devices and a 208-230V, single phase power unit, with an overall lift rise of 71-1/2”. **RISE 84 1/4" $13,912 (2140 mm), CAPACITY 12,000 lbs. 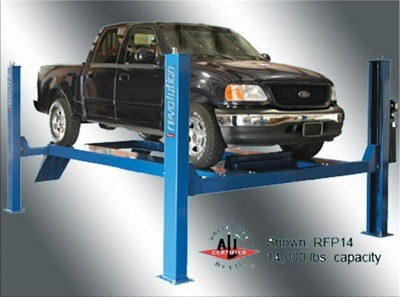 (5443 kg), **NOTE: Lift Rise Is Measured From Floor To Top Of Either Pad, Runway, Or Adapter In The Highest Position, Except For SmartLift In Which Rise Indicates Plunger Stroke From Finished Floor. 208-230 Volt, Single Phase Power Unit. 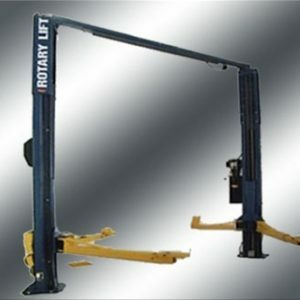 Be the first to review “Rotary SL212 SMART LIFT TWO POST IN GROUND 12000 LB” Click here to cancel reply.